This page is dedicated to give you updates on projects. Please visit often so you can see all that the Lord is doing in this small, remote corner of the world. Solomon's Ministry is a new ministry that was started at Hope Discovery Church. 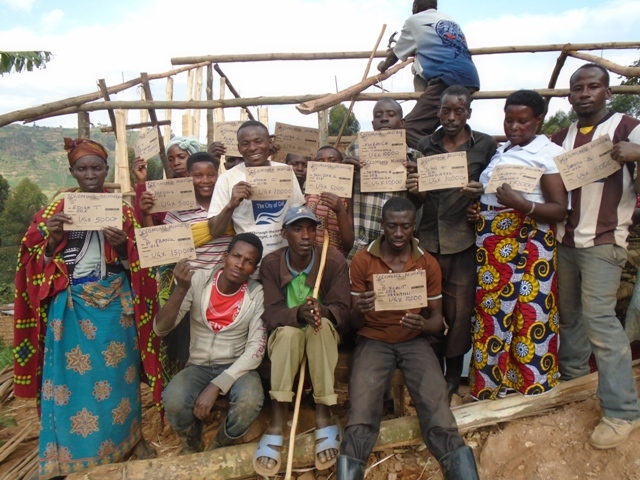 It was started because of the church's concern for the Batwa people and other vulnerable groups without homes. Each month people collect what money they can 1000 shillings and up (it takes approximately 3300 shillings to equal one American dollar). The goal is that they will put their money together each month to build a house for a person selected by the church who is in great need. The first house that was completed was given to Valence Timwesigye, Christine his wife, and their five children. Valence is blind, however, he was not born blind. Valence had worked for a local farmer and the farmer paid him with alcohol. Valence had been demanding that the farmer pay him the money that was owed to him. In the alcohol the farmer put poison in it because he wanted Valence to die because he did not want to pay him the money that was owed. By God's grace Valence did not die, however after becoming unconscious for about a week, when he awoke he was blind. Hope Discovery Church decided it was time to act as a New Testament Church. They have worked hard to complete their first project. Each member gave what they could. Please join us in praying for Solomon's Ministry and the heart of this church. For a people group who have so little, they are willing to pull together what few resources they have to help someone in greater need than themselves. The heart of this ministry is beautiful and it is an example for all of us to do for the one what we wish we could do for all! This past year water tanks were purchased at the orphanage in hopes that they would provide adequate water for the needs at the orphanage. The rainy season was unpredictable and because of the number of children at the orphanage, it just wasn't enough. 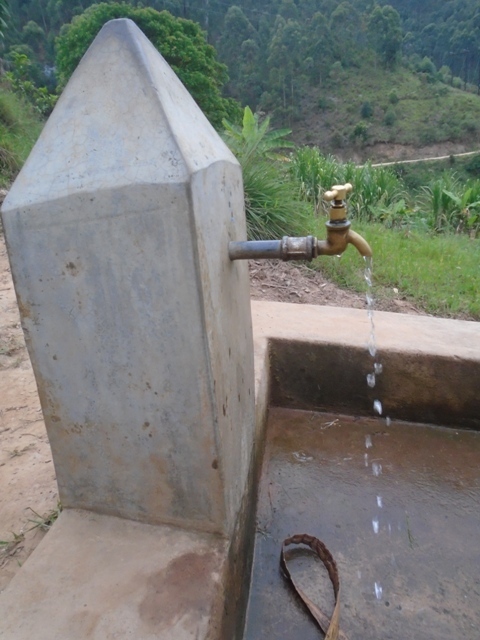 The government provided us with an opportunity to connect to piped water. We were so grateful for the $700 donation that made this project happen! Praising God for His faithfulness to our Batwa children!